Bespoke rigid boxes are commonly used across many industries including the jewellery, cosmetics, perfume and fashion sectors. This format of luxury packaging is suited to both small and large runs and is adaptable to meet virtually any design or budget. 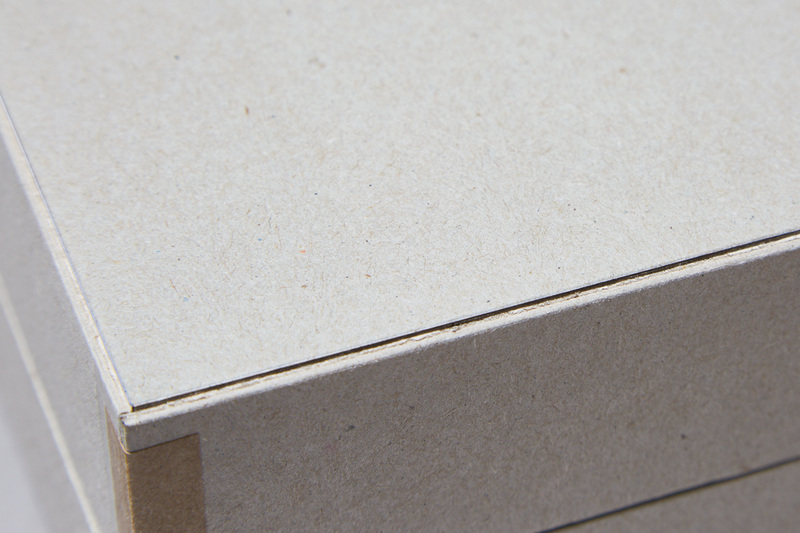 The benefits and versatility of rigid boxes include added protection, compared to cheaper folding cartons, easier handling, merchandise display potential, reusability and their ability to be covered in multiple textures, including papers, leathers or fabrics. The manufacturing processes involved are simple. To start, a cardboard is chosen. Greyboard (also known as plain board) is the least expensive, and typically used for boxes needed for function and purpose over appearance. The alternative options are coloured boards, including white-lined and black-lined for more decorative pieces or to match the print used on the laminated wraps for the outer box and lid. Once specified, this board is then die cut to shape, with a die made from both knives and scores. The knives are used to cut the shape, while the scoring partially penetrates the board to allow for bending and construction of the 3-D piece. Adhesive tape is then applied to secure the four corners of the tray/lid in place. The branded wraps — which can be printed, embossed, or foil stamped — are glued on the surface of the boards with a heavy weight stamp, which is pressed against the cut out board to fix the sheets securely in place. The wrap is rolled up and over the tray and glued to the sides and the inner lip of the box with a turned in edge – giving the box its final 3-D form and making it ready for use. There are many ways to make custom rigid boxes unique. Examples include using hinges, compartments, platforms, with added features such as windows, ribbon pulls, and magnetic closures. Adaptability is what makes this one of the most popular creative packaging formats Progress continue to manufacture. Showing transformation from raw form to finished box. White-lined greyboard, die cut and scored to create the base and lid in flat sheet form. Adhesive tape is applied to secure the corners of the tray/lid in place before covering with outer material. A shoulder section being inserted into the base to create a smooth external finish where the base and lid meet on the sides of the final box. 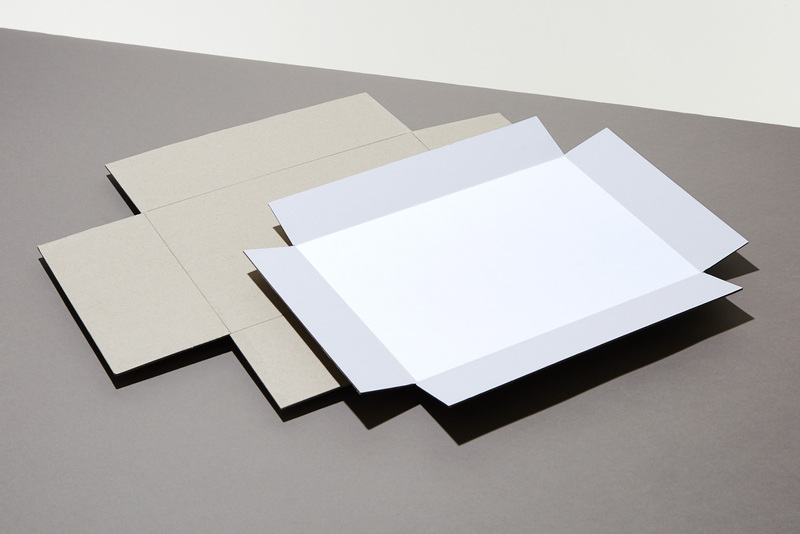 The initial scoring of the flat greyboard sheets determines the way the final product is folded into shape in its raw form. 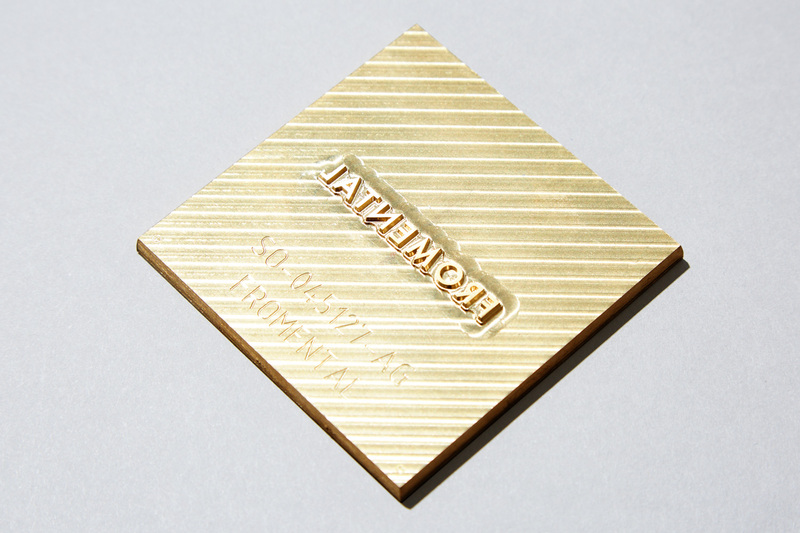 A brass die foiling stamp is produced to apply the foil to the outer papers of the box. These are custom made to the identity/branding specifications of each client. 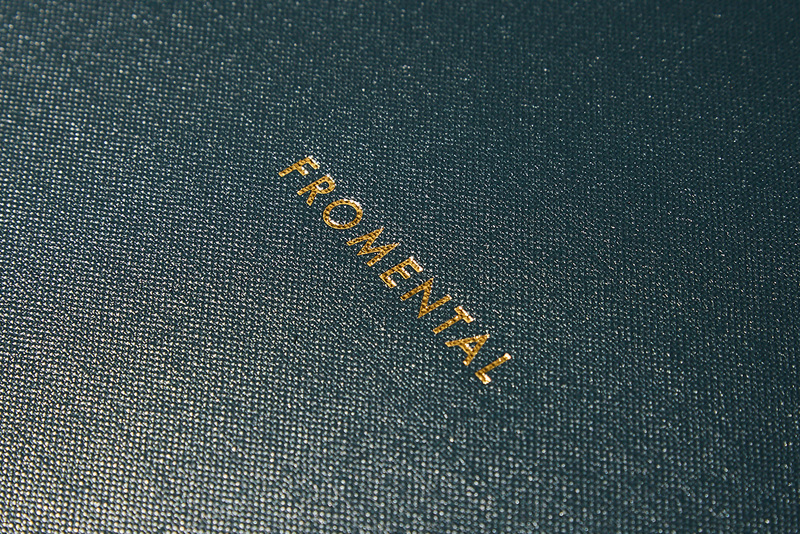 The foil stamp is heat-pressed against the outer box material to adhere the foil to the surface. 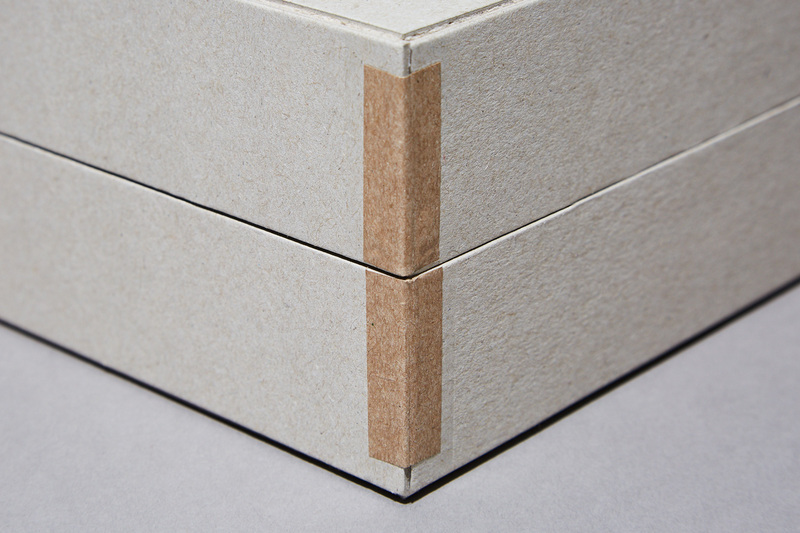 The paper is then glued to the inner boards to make up the outer finish on the rigid box. 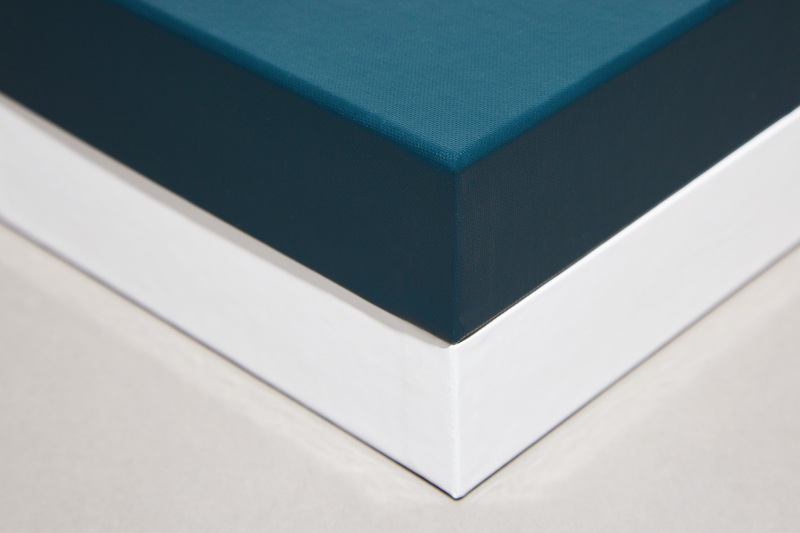 The precise application of the outer sheets produces sharp corners and a neat finish. An automated machine applies the made up greyboard boxes to the outer branded papers.